Planning to go on a nice bike ride with your child? Bicycles are meant for single use, so you’ll need a special attachment. Since safety is crucial, we highly recommend the best bike child seat. One common concern about attaching a child seat on a bike is the added weight. Good thing that Schwinn Child Carrier has a lightweight structure. 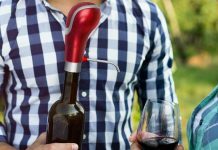 Don’t worry; it’s still durable because of its polypropylene material. If you haven’t tried installing a bike seat before, this product is ideal for you. You’ll be able to assemble its frame at the rear end without any hassle. More importantly, this child seat is super-safe to use. It comes with a three-point harness, padded crossbar, and secure restraints for the legs. Of course, we should also consider how comfortable the seat is. Fortunately, its footwells are adjustable, and the back padding provides excellent support. There’s also a removable headrest to keep your child’s head stable when you pass rough roads. 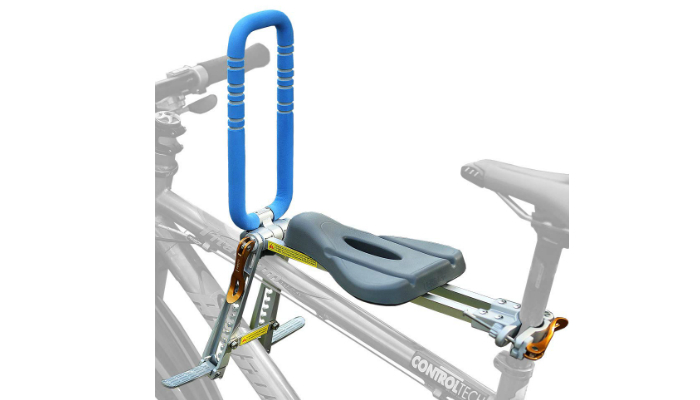 Regarding the weight capacity, this bike carrier can support 40 pounds at the most. It is not meant for infants, but it’s perfect for toddlers who are at least a year old. 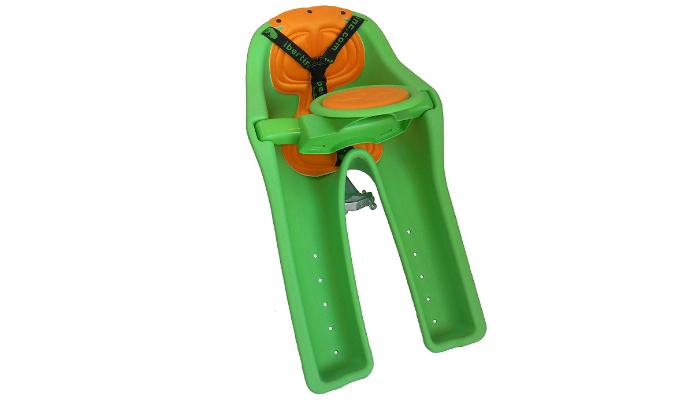 While the first product is technically rear-mounted, iBert Child Bicycle Safe-T-Seat is designed for the front part – specifically at the center. 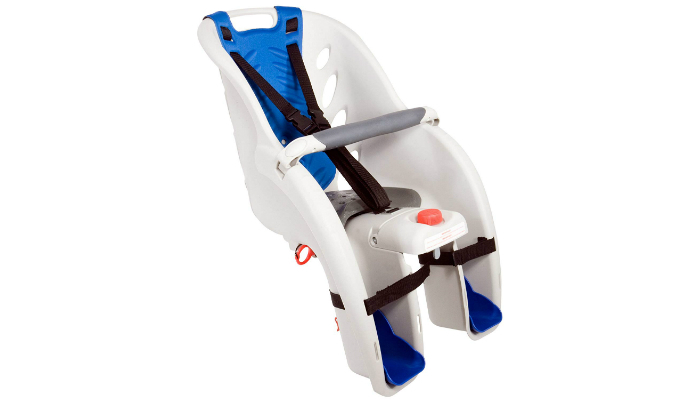 This type of child seat aims to give you better balance and control. As a plus, talking to your child will be so much easier. 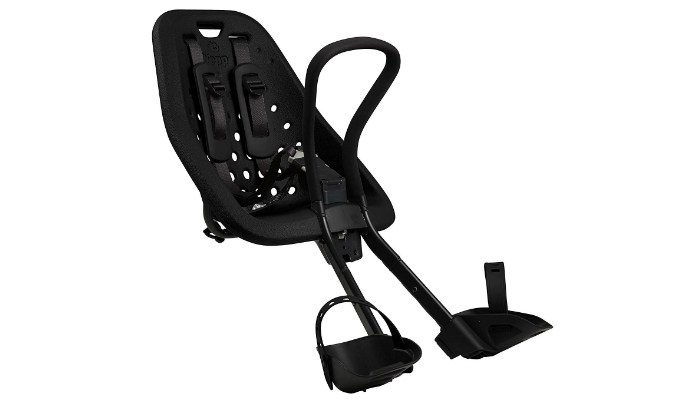 Even though this child seat isn’t ideal for older kids, it is actually perfect for babies. In fact, toddlers will enjoy the ride even more. They can explore the world better. Taking quality to the next level, Tyke Toter Front-Mount Child Bike Seat is made of aircraft-grade aluminum. In addition, as you can see, it has a really compact form for easier storage. Meanwhile, this child seat is universal. 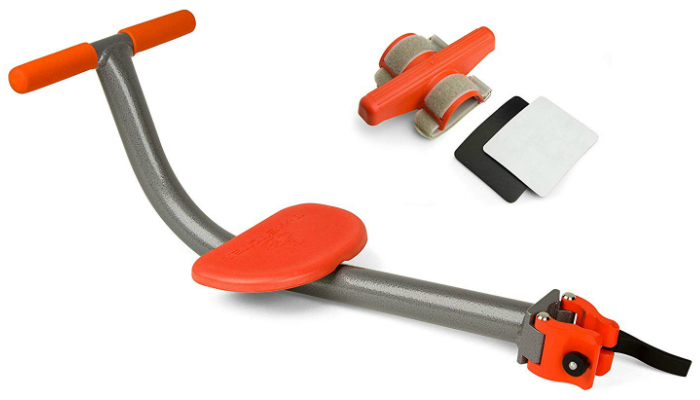 Its clamp can fit seat posts with a diameter of up to 1.25 inch or 32 millimeters. Compatible with standard bicycles, Thule Yepp Mini Child Bike Seat can be used until your child becomes too big and heavy for it. That’s mainly because of its adjustable five-point harness, footrests, and foot straps. When it comes to cleaning convenience, this product is water-repellent for quicker drying. Additionally, you can easily wash off dirt, dust, and other impurities from its surface. What about comfort? The handlebar’s padding is soft, which is perfect for the delicate hands of your baby. 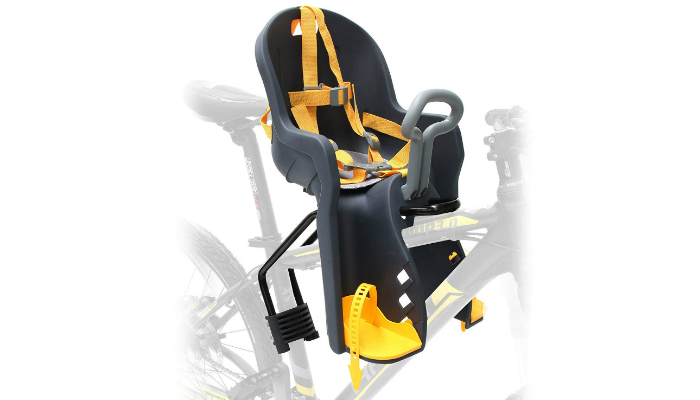 If you’re really particular about simple installation, you might prefer UrRider Front Mount Child Bike Seat. Installing and removing it won’t require tools at all. 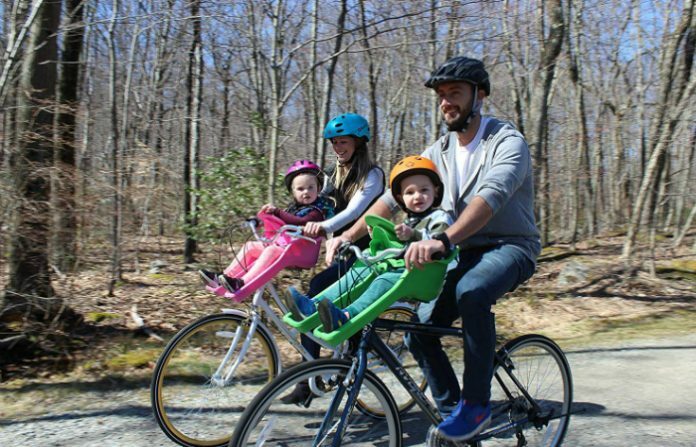 Whether you’re using a mountain bike or a hybrid one, you can install this child seat in no time. It can even enhance the look of your bike because of its appealing design. It has a modern look you’ll love to show off. For the sake of comfort, the saddle is soft and ventilated. The fork arm and handrail are also adjustable. Lastly, this seat is composed of aircraft-grade aluminum alloy. The result is a foldable, ultralight child seat. For storage, simply use the packing bag that comes with this product. Removing CyclingDeal Bicycle Child Front Seat from a bike is easy as 1-2-3. It doesn’t require tools. All you have to do is use the quick-release bracket. Even though this affordable option isn’t compatible with dual suspension bikes, beach cruisers, and smaller frames, it can fit standard bicycles. It can support weight up to 33 pounds. That means it can be used by babies as young as nine months old until they reach their third birthday. The best bike child seat on our list is a rear-mounted type. Although front-mounted ones are better in some aspects, we still think the other kind is ideal for most parents and children. Allow us to explain everything as we discuss the pros and cons of each variation. This type of child seat is more convenient for parents, especially those who aren’t too tall. They will be able to use the handlebars and pedals better. It will also be easier for them to get on and off their bicycles. Comfort is also a strong suit of rear-mounted seats. Your body will protect your child’s face from the impact of rushing wind which may consist of debris, dust, and dirt. Also, the ones with a reclining feature can be a good traveling crib for babies. Since there’s more space in the rear section, it can be used as your child’s special seat until he’s old enough to use his own bike. Now, let’s find out the disadvantages of rear seats. These include tricky communication, limited monitoring, and balancing problems (for some people). However, as long as you install the seat correctly and secure your child on it with the right features, there’s nothing to worry about. On the other hand, a front-mounted seat is more enjoyable for children. It also promotes a bonding moment with your child since it will let you communicate with him easily. Meanwhile, the placement of this seat can ease your mind. You’d easily spot your child unbuckling himself if ever. As expected, front mounting can be a hindrance to you. If you’re petite, you’d have a hard time controlling your bike. Worse, if your child is a bit hyper or naughty, he might try to control the bike and make you lose control. Of course, exposing your child to wind can hurt his eyes. Bigger kids can wear any kind of protective eyewear, but what about toddlers? You have to find another product for that. Schwinn Child Carrier is the best bike child seat for most parents and kids. It is lightweight, secure, user-friendly, and comfortable. It also has a bigger weight capacity to perfectly support your child even as he slowly gets heavier and taller. Want to learn how to make your bike go faster? Check out some DIY tips here.